The same applies to those who want to work from home (make make extra income) but feel they lack the knowledge to do so. Everyone posses a skill or life knowledge about something. AND somewhere this is someone who would be willing to PAY for that knowledge in the form of eBooks, guides or reports. 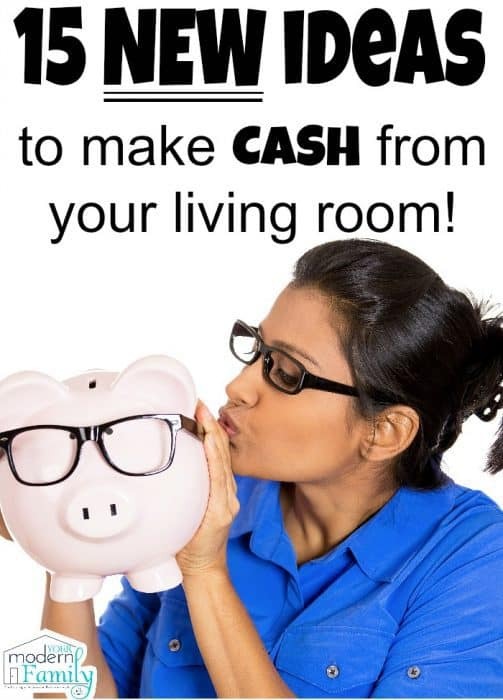 In our constant quest to “bring in some extra cash,” we forget to consider what I think is an incredibility obvious option for extra income, so that’s why I want to talk about Creating eBooks as a Money Maker. Too many women make the mistake of thinking they don’t have any skills or products worth marketing. “I don’t know how to do the things, you do,” they tell me. Simply (or complex) sewing projects you’ve created on your own. Recipes that you came up with in your own kitchen. Creative craft project ideas to do with kids. Tips for keeping your home organized. Ideas for low-cost birthday parties for kids. Quilt patterns, knitting patterns, crochet patterns you’ve created. How to make your own natural products. What’s your hobby? Tell someone else how to get started. “But what do I have to offer?”…you may be asking. How about starting with the knowledge, experience and wisdom that you already possess? I’ve always said “somewhere in the world there is someone willing to pay you for the knowledge that you have in your brain.” Your expertise is the product you can market to moms everywhere. Know how to write a press release, a business plan or even plan an event? I promise you there are moms/women in business in need of that assistance right this moment. The situations that you have encountered and overcome as a mom are ones that other mothers are face too. They could benefit from what you know to make their life a bit easier. Another way (and one that’s like the “gift that keeps on giving”) is the creation of an e-book based on your experience, advice and skills that can be used as a guide for anyone in need of it. You probably have a lot of good advice to offer, but unless you pull it out of your brain and put it in some sort of legible format, it will never help anyone else. If you have a talent for writing this will be less of a challenge for you but the first step is to sit down, write down some ideas and organize your thoughts on paper. SO if you could write an e-book about the knowledge you possess, what would you write about? Is There Ever a Right Time to Quit Your Job?